Kotaku describes this flash game as "the greatest game ever made" and I think it comes very close. 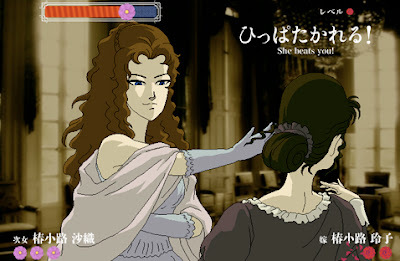 The game is as simple as they describe it: "This is Rose & Camellia. It's set in the 19th century. You play a woman. You slap other women. That's it." That's indeed it and it's really funny, but obviously wears off after a few seconds.